VERY CLEAN 2014 535 DIESEL WITH ONLY 26,057 MILES! NO ACCIDENT CARFAX REPORT WITH SERVICE HISTORY. NAVIGATION, BACKUP CAMERA, HEATED SEATS AND MORE! FACTORY BUMPER TO BUMPER WARRANTY UNTIL 50,000 MILES OR JUNE 2019. ELIGIBLE FOR UP TO 100,000 MILES BUMPER TO BUMPER!! 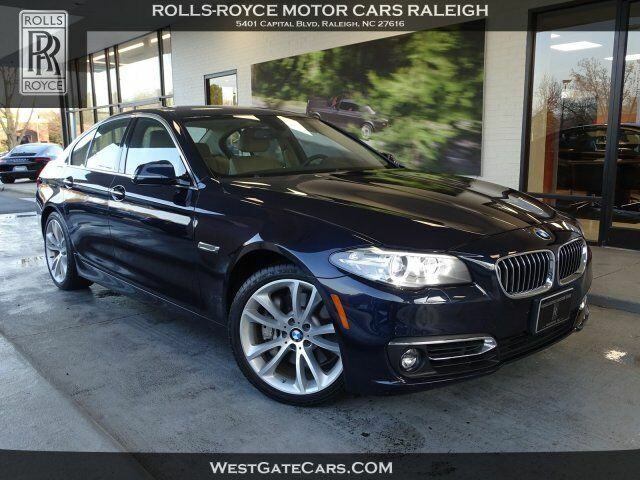 COME SEE THIS BMW AND MANY MORE AT ROLLS ROYCE MOTOR CARS RALEIGH! !